The NFL is taking its talents to Europe again this upcoming season. 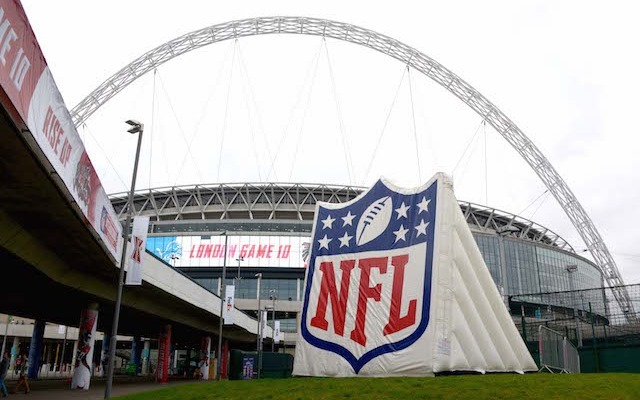 As part of its annual International Series, the NFL will play three regular season games at Wembley Stadium in London, featuring the New York Jets vs. Miami Dolphins on October 4, Jacksonville Jaguars vs. Buffalo Bills on October 25, and Kansas City Chiefs vs. Detroit Lions on November 1.  Due to the growing popularity of America’s biggest sport in Europe, all three games this year set to emanate from Wembley Stadium are averaging $228.12, according to international ticket reseller Ticketbis. Furthermore, the cheapest get-in price is $81, which is for the Jaguars-Bills encounter, while the most expensive get-in exists within the Jets-Dolphins clash, which is to be expected considering this will be the first ever divisional matchup held on foreign soil. Luckily for fans, there are still plenty of tickets available for all three NFL International Series games. The main event of the three, of course, is the AFC East tilt between the Jets and Dolphins. Europe will have the opportunity to watch two of the NFL’s more improved teams in this one, both organizations added some major pieces over the offseason. The Jets did as much as anybody, acquiring Antonio Cromartie, Darrelle Revis and Brandon Marshall to turn their fortunes back around. The Dolphins, meanwhile, made a major splash by acquiring arguably the gem of the whole free agent class, Ndamukong Suh, which will instantly improve their defense. Both clubs have higher expectations this year as a result. The Bills, another AFC East resident, won’t be playing a division rival in their International Series contest, but still have an opportunity to showcase their upgraded roster to a newer audience. Their big addition this past offseason, aside from nabbing new head coach Rex Ryan, was the LeSean McCoy, who they acquired through a trade with Philadelphia. His presence alone makes the Bills a lot more dangerous on offense, and if they can sustain their usual stingy defense, this is a team that can definitely challenge for a playoff berth. Their opponent in Europe, the Jaguars, has also had issues making the playoffs over the past several years, but with the development of former first round pick Blake Bortles, the team’s franchise quarterback, maybe Jacksonville is ready to make the leap again. When the Chiefs and Lions hook up at Wembley Stadium, meanwhile, they’ll have the potential of putting on the most explosive game. That shouldn’t be too surprising if that is indeed the case, as both teams have been in the postseason within the past couple of years, and both figure to be in contention once again in 2015. Most important, there will be no shortage of star power in this matchup, with the Chiefs bringing over superstar running back Jamaal Charles and their newest offseason addition Jeremy Maclin. Meanwhile, the Lions possess one of the most active offensive units in the league, led by Matthew Stafford and arguably the best receiver in the game, Calvin Johnson. All in all, having multiple games overseas is part of the NFL’s plan to expose America’s No. 1 sport to the foreign market, as well as possibly lay the groundwork of placing an NFL team in London for the future. In July, the NFL announced that Tottenham’s new stadium will host two NFL games for the next 10 years when it opens up in 2018. The stadium itself will be a state-of-the-art sports entertainment kingdom, built with a retractable grass field for soccer and a retractable artificial turf for football. Down the line, it could ultimately end up becoming the host to an NFL franchise as well.